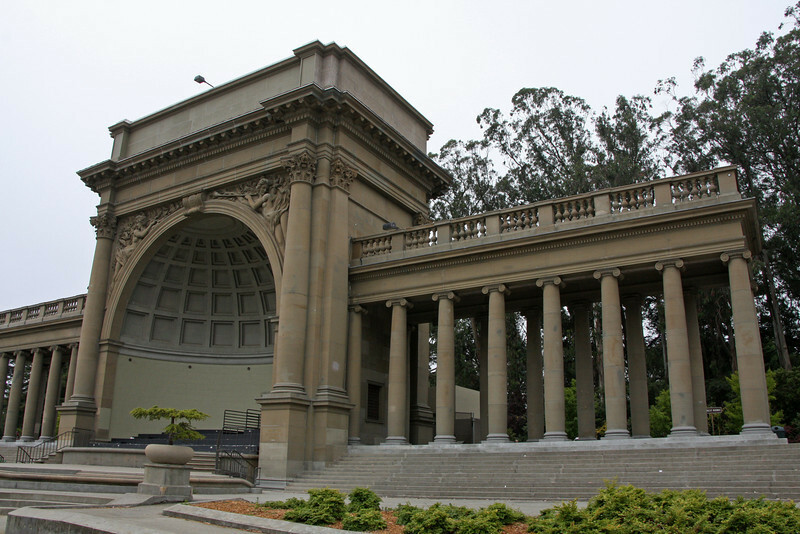 Music Concourse in Golden Gate Park is a sunken, oval-shaped open-air plaza originally excavated for the California Midwinter International Exposition of 1894. Its focal point is the Spreckels Temple of Music, also called the "Bandshell" where numerous music performance have been staged. It includes a number of statues of various historic figures, four fountains, and a regular grid array of heavily pollarded trees.